Recently Elle published an article asking one of Hollywood’s elite healthy eating lifestyle entrepreneurs what she ate for one day. During her run down of a typical day she brought us into a wonderful world of teas, tonics, dusts and juices all with exotic names that most of us have never heard of. Not only responsible for her amazing looks, by eating and drinking these products she claimed she’s been able to align with a cosmic force that wants her to be successful in her life purpose. It might leave one wondering which aisle in the supermarket they’ve been missing. But you can’t find these products in any old supermarket; actually you can only find these products in her own juice store in California. I must admit this lifestyle IS very seductive. In the day to day struggles we all face juggling self care, work obligations and family needs in our pursuit to find wellness in Berlin what most of us wouldn’t give to float with ease through our days, free from impurities and sickness and full of energy. Yes! So why does it feel somehow contrived? And why were the comments section full of such angry and sometimes downright mean quips? I think people felt like they were being sold a way of living that strayed far from sanity into the realms of unhealthy neuroses. Far from inspirational, it felt more like having your nose rubbed into your own inadequacy for not knowing any of these fantastical super foods, let alone be able to afford them. In the comments backlash the humor and sarcasm served to deflect the shame that the interview projected. I think ultimately people were refusing to feel ashamed for how they live their lives, imperfections and all, and refusing to buy into a severely restrictive way of living, under the guise of healthy, and ultimately attainable only to the privileged. It is concerning how insidious the marketing of disordered eating can be. Just like the modeling industry which successfully sold us anorexia exemplified by Kate Moss’ famous quote, “Nothing tastes as good as skinny feels”, we are now increasingly up against the health and wellness industry and its plethora of dietary coaches, fitness gurus and personalities, some of which are posing as pseudo scientists and telling us how we can optimize and perfect our lives in less than healthy ways. The striving for a purer life can turn from helpful into a dangerous pursuit, which relies on restriction and unrealistic food choices. 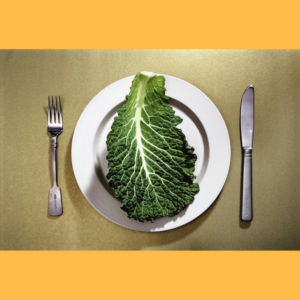 When we fail to live up to this high standard of eating, because let’s face it most of us can’t, we feel deeply shamed and the belief that we are not worthy is not eased but actually enforced. It becomes a negative shame spiral damaging our self-esteem. If we are able to live up to this standard then we may live in a false sense of grandiosity about our achievements without realizing the stress and anxiety induced trying to keep this standard up. All the while we are focusing huge amounts of our precious energies into this profitable fallacy. Now of course there is a fine line between people who think they are taking care of themselves by manipulating their diet and those who are much more stuck in disordered behaviour. 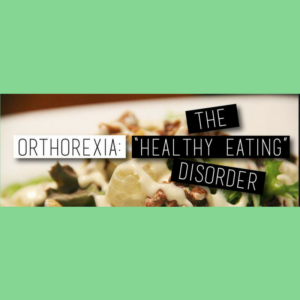 Orthorexia involves obsessive magical thinking about the power of food. The energy and focus that goes into this obsession is astounding. Part of the healing is gently letting go of these ideas and exploring the underlying anxieties about self and life that are trying to be eased with food obsession. There is no perfect weight or food that will take away life’s conflicts, make overseas living and moving countries easier, make people love us, or stop us from aging and dying. Suffering is part of life and we have to learn to live with, not get rid of, the pains and conflicts that arise head on. This also means seeing food more realistically, as something to be nourishing and enjoying but not the solution to all of life’s problems.